(From left) Jonah Hill, Marissa Tomei, and John C. Reilly star in the darkly funny "Cyrus." If anyone remembers Jonah Hill’s voluptuous role in the 2006 comedy “Grandma’s Boy,” it would be hard to imagine him playing a character any more attached to a teat (in this case literally) than he was for a majority of his screen time in that movie. But in Jay and Mark Duplass’ “Cyrus,” Hill manages to do just that. Although he’s not hanging from a breast like a little piglet in this one, his awkward albeit loving fixation on his mother is more than enough to make even Sigmund Freud blush. In “Cyrus,” the Duplass brothers give us a modern and hilarious take on the Oedipus complex analyzed in dark-comedy form. 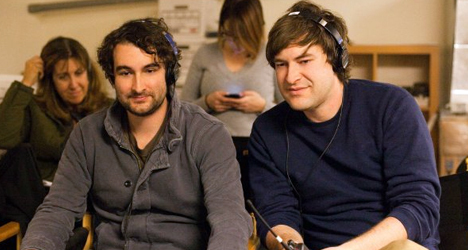 For the Duplasses, it’s the first mainstream-ish movie of their careers. Taking the advice from his ex-girlfriend Jamie (Catherine Keener), borderline desperate John (John C. Reilly) decides it might be time to move on with his life after their breakup seven years ago. Revealing just how socially incompetent he is at a party, John is somehow charming enough to get the attention of Molly (Marissa Tomei) before the night ends despite his best attempts to be oafish and a bit creepy. When John decides to surprise Molly by visiting her house, he is a bit shocked to learn that her sensitive 21-year-old son Cyrus (Hill) still lives at home and clings to his mother (also his best friend) like a jumbo-sized baby. Although John wants to cut the cord, Cyrus is unwilling to allow a new man to come into his mom’s life. To make sure he won’t take a backseat to his mom’s new love interest, Cyrus makes it his mission to sabotage their relationship until John concedes his place in the peculiar love triangle. 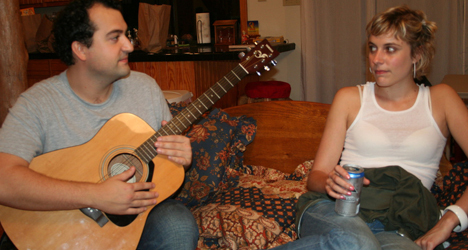 While the Duplass brothers stick to the “mumblecore” genre they helped pioneer with their first two films “The Puffy Chair” and “Baghead,” the duo has a lot more to work with in “Cyrus.” The positive results of an increased budget and casting more established talent is evident with Reilly, Hill, and Tomei leading the way. 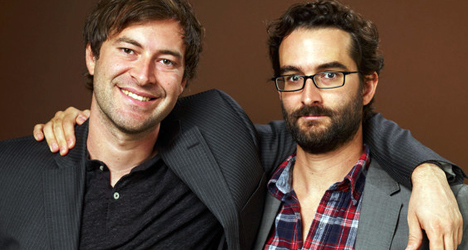 The film, however, still comes down to the unique and talky narrative and odd characterizations the Duplasses are able to deliver. Most impressive is how the Duplass brothers take their time with “Cyrus.” There is never a sense of eagerness most mainstream comedies of this nature have to get to the next gag or joke. Instead, it all flows without exaggeration, which is very effective especially with Reilly and Hill riffing off one another in perfect sync. If you can handle the weird, incestuous atmosphere that lingers throughout, “Cyrus” is a must-see summer comedy that doesn’t fit the broad summer comedy mold by any means. The Duplasses have transitioned well into the big leagues and have done so, it seems, on what made them such a delight to begin with.